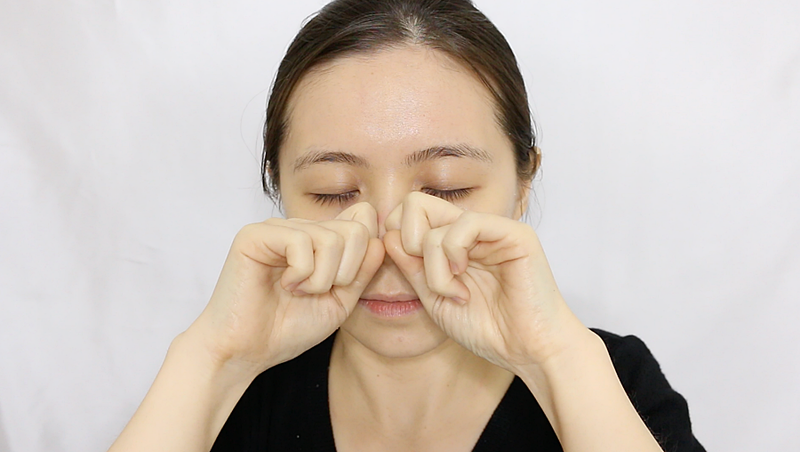 JQ Talks: I Tried A RM424 Ginseng Sheet Mask & RM690 Ginseng Serum! 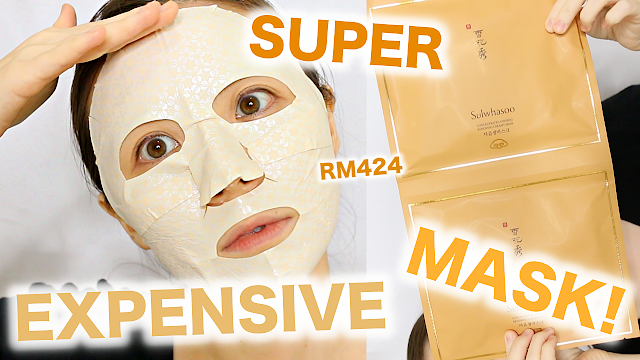 I Tried A RM424 Ginseng Sheet Mask & RM690 Ginseng Serum! Sulwhasoo launched new additions to its already famous signature ginseng line. I've used Sulwhasoo before and I do really like their products, except for one cushion that just wasn't made for my sry skin type. This new Ginseng line contains high concentration of nutrition tapped from ginseng, prepping skin with all the moisture and resilience it needs. The three new products are Sulwhasoo Concentrated Ginseng Renewing Serum, Sulwhasoo Concentrated Ginseng Renewing Cream EX (Original and Light), and Sulwhasoo Concentrated Ginseng Renewing Water and Emulsion. I was given the Sulwhasoo Concentrated Ginseng Renewing Serum, a mini sample set of the Ginseng line that includes one Sulwhasoo Concentrated Ginseng Renewing Creamy Mask. Here, I'll only review the Mask (cause I've heard good stuff about it) and the Serum. 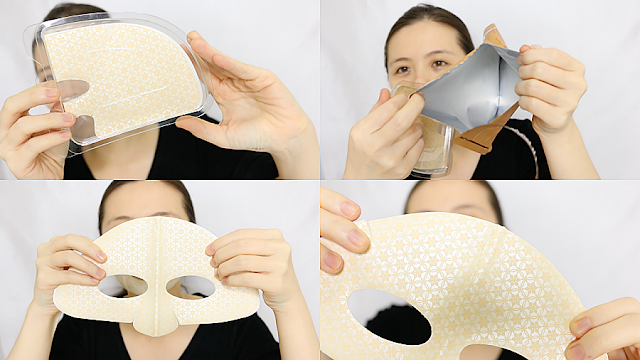 Check out the video below to see more of the mask and the serum! Do like this video and subscribe to my YT Channel! Yes, title was a clickbait. Nevertheless, RM424 for 5 pieces of sheet mask is crazy expensive. However, I've heard about this mask from my sister-in-law and she was raving about this for it healed its cracking, peeled skin in the winter overnight. Hearing such miracle plus a huge fan of sheet masks, I just had to try it myself. The sheet mask is so luxurious that it's super well packed (almost excessive in my opinion), split into two sections (top and bottom mask), and dry. Yup, no serum or essence, no mess leaking everywhere. DRY. At this point, I was extra curious cause I've never used such a sheet mask before. After stripping it all off from its pretty excessive packaging, I finally realised that it's so dry because the goodness are basically a layer of thick cream stuck on the mask itself. CREAM SHEET MASK. Man, imagine the moisture you are going to get after leaving it on for 15 minutes with the warmth of your face melting the cream while soaking up all the goodness. 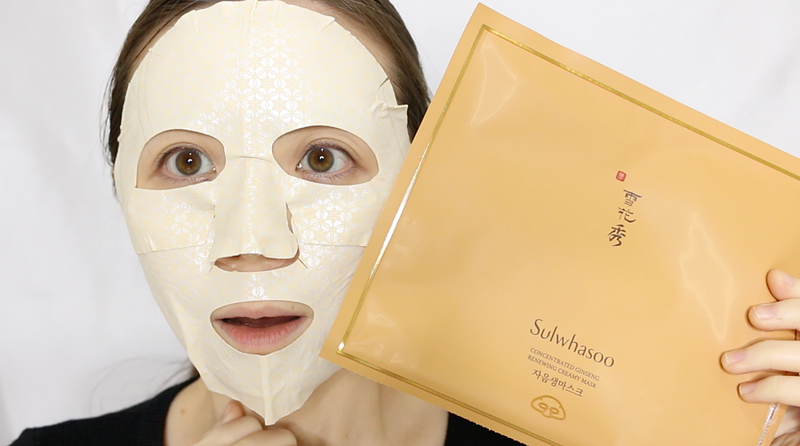 This sheet mask is known to be an anti-aging mask with innovative Double Wrapping Sheet delivering powerful ginseng energy with a creamy texture, improving skin's elasticity, firmness, and radiance. After applying the mask on, I was busy scraping out cream from the white plastic paper that was stuck with my mask earlier and massaging it all over my body. Don't waste is my mantra for every time I use a sheet mask. The mask went on great, smells subtly like ginseng, stuck on my face sturdily, and very comfortable overall. No stinging, no discomfort, and no sliding. I personally enjoy this mask and I can understand how this will be extremely good for dry skin in winter season, but I believe that with Malaysia's weather, this can be too much for even normal skin type people. Thus, I will only recommend this if you have super dry skin and want something that can help with your peeling and cracking skin overnight. 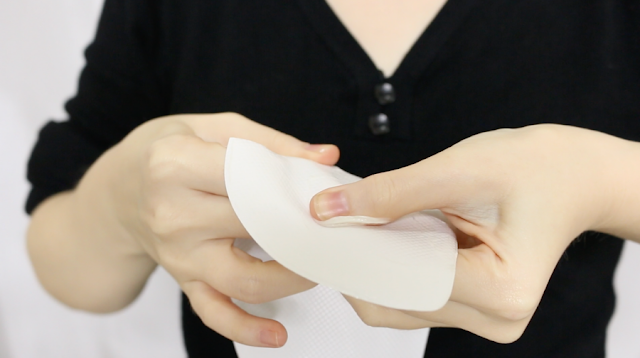 Of course, my face felt great after peeling it off (in fact, I really wanted to leave it on till the next day). Tons of cream residue was still on my face, this is where I massage it in. I had a hard time parting with the sheet mask cause it's just so good. I absolutely love this mask! 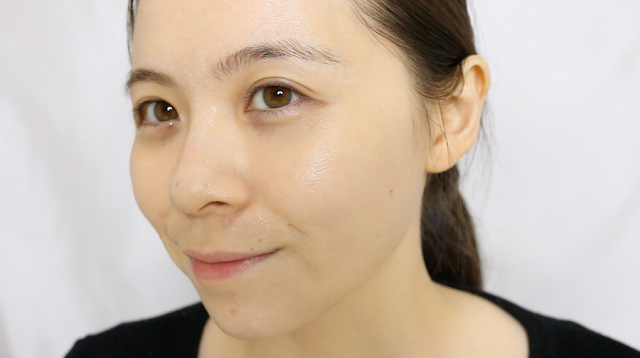 After a luxurious mask, I continued with a luxurious serum. Actually, I read the instructions wrongly, I was suppose to use this serum first and then apply the sheet mask. Anyway, I've tried this serum during the event launch and I immediately knew that I love this serum because it's not the super watery type. It's a thick gel-consistency that leaves room for you to do light face massage before it completely absorb into the skin. Smells heavenly like ginseng, this anti-aging serum provides a rich, silky, and nourishing feel leaving no sticky residue. After the light massage I did for myself, I felt like a new person. So refreshed, calm, and ready for bed. The next morning, my skin looked like a dream. Man, now I wished I have the full size Sulwhasoo Concentrated Ginseng Renewing Cream EX in Original too cause it's said to pair really well with it on a daily basis. Thanks Sulwhasoo for this wonderful experience. Reminding me of why I truly love your products once again with this new line. For more info of the full range, check out their website. Antipodes Skincare For Dry Skin?